Get Yourself an Expert Plumber in Monroe WA! A Local Plumbing Company That Aims To Take Great Care of you! Your Ultimate Satisfaction is GUARANTEED! Water Leaks, Clogged Drains, Sewer Problems, Water Heater Installs or Repairs, & More! You Can't Fake Great Service. We're the Plumber Monroe loves! No one really plans for a plumbing problem---they're always a surprise, and not a good one. Do you know who to call for help? Plumbing Experts NW makes a great case to be the Monroe Plumber you can lean on. We demonstrate value in everything we do for our customers. For years now, Plumbing Experts NW has worked to provide the kind of affordable plumbing Monroe WA customers will come to know, use, and even recommend to friends and family. It DOESN'T MATTER WHAT DAY OR WHAT TIME, just give us a call! Whether your issues are large, small, or just plain mysterious, our staff and plumbers will show you just how helpful and knowledgeable we can be. We're ready to help you get past your drain clog issues, sewer backups, large or small water leaks, or whatever plumbing-related issue you are experiencing. Being honest, thorough, and setting you up with viable options to get your system and your life back to normal---that's what we do for you. 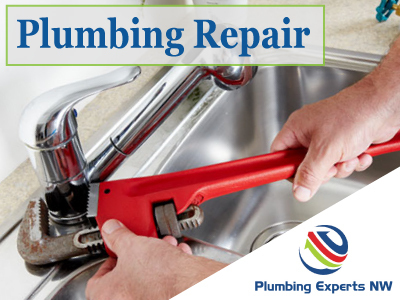 We're sure to be one of the most cost-effective and affordable plumbers Monroe WA can offer. We give real quality for affordable plumbing repair costs, but you don't want a "cheap plumber"---there's a big difference. We do right by our customers and our reviews and repeat customers demonstrate that. If you have a plumbing problem, you can go ahead and see for yourself by filling out our contact form below, OR by giving us a call today at 425-948-7705. We'd love to show you why Plumbing Experts NW is getting noticed for being the plumber Monroe can rely on to deliver expert service and affordable service every time we are called upon! Any common Monroe plumbing problem that comes up: Toilets, repiping, disposers, water leaks, water pressure & more! Our techs locate leaks and work fast to get them repaired. Affordable plumbing repair and leak repair! Sewer lines are not easy to diagnose, but we use sewer cameras to find the best way to fix your sewer line issue in Monroe. Doing repair or installation of water heaters in Monroe with expertise. We also provide your with tankless options! Ready to fix the clogged drains Monroe residents experience. We clear your clogged sinks, toilets, & sewer drain lines. We know sewer repair in Monroe WA, and you'll be impressed with our Sewer Repair expertise.